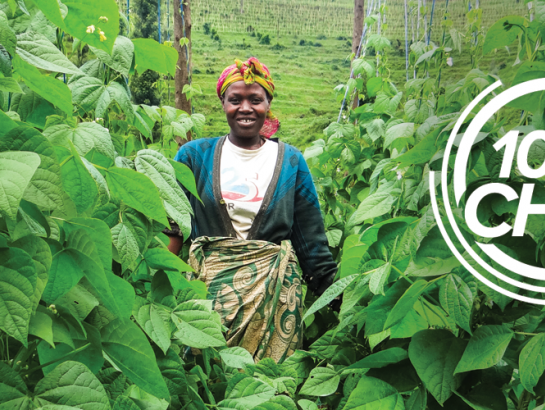 HarvestPlus has been named one of four finalists for 100&Change, a competition for a single $100 million grant from the John D. and Catherine T. MacArthur Foundation. The global challenge seeks bold solutions to critical problems of our time. After careful consideration, the MacArthur Foundation’s Board of Directors remains convinced HarvestPlus’ work provides a viable and much needed solution to one of the world’s greatest problems—hidden hunger. 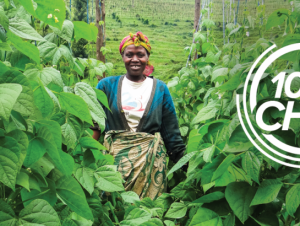 Acknowledging that hidden hunger largely stems from a lack of dietary diversity in impoverished communities, where many people rely on one or two staple crops for their primary diet, HarvestPlus has pioneered a revolutionary way to increase the nutritional value of these crops. Through a natural plant breeding process called biofortification, crops like sweet potatoes, beans, maize, and cassava are now being bred to contain higher amounts of vitamin A, iron, and zinc —three of the micronutrients most lacking in diets globally, according to the World Health Organization. HarvestPlus is currently reaching 26 million people around the world with these more nutritious crops. “Winning this competition will help us meet our goal to reach 1 billion people with biofortified crops by 2030. Through the help of partners like the MacArthur Foundation, eliminating hidden hunger is possible,” says Postma. With additional resources, HarvestPlus will be able to forge new partnerships and empower local farming communities throughout Africa, Asia and Latin America to grow and consume more nutritious food. Based on a model of sustainability, once HarvestPlus delivers biofortified seeds, the communities they serve will forever have access to crops that are more nutritious, resilient and high yielding—improving health and boosting economic development globally. Watch this video for a summary of HarvestPlus’ solution. “The proposals are creative, ambitious, and driven by a passion to make the world a better place for millions of people. Together, they demonstrate that, even in challenging social and political times, solutions are possible and worthy of significant investment,” said MacArthur President Julia Stasch. As a finalist, HarvestPlus will present its proposal, alongside three others, during a live event on December 11, 2017, before the Board names a single recipient to receive $100 million. 100&Change is a distinctive competition that invited proposals promising real progress toward solving a critical problem of our time in any field or any location. There was robust participation: 7,069 competition registrants submitted 1,904 proposals. Of those, 801 passed an initial administrative review and were evaluated by a panel of judges who each provided ratings on four criteria: meaningfulness, verifiability, durability, and feasibility. MacArthur’s Board of Directors then selected eight semi-finalists and today’s finalists. Each semi-finalist worked with an expert team to address questions about its technical and organizational capacity. The semi-finalists were also required to address issues of inclusion, including a special focus on persons with disabilities, and gender equity and to show authentic engagement with communities of interest, including potential beneficiaries, those who might suffer harm, other funders, and competitors. Teams then submitted revised proposals informed by their additional research and project development. 100&Change was designed to be fair, open, and transparent. The identity of the judges and the methodology used to assess initial proposals are public. Applicants received comments from the judges. Key issues in the competition are discussed in a blog on MacArthur’s website. A searchable database of all the proposals is available online, and the top 200 scoring proposals are identified. This post originally appeared on the HarvestPlus website. See the full proposal to learn more about HarvestPlus' entry into the 100&Change competition.